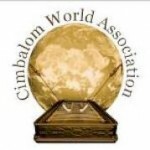 The Cimbalom World Association Congress of 2013 will be hosted by Taiwan Yangqin Development Association. The goal of Taiwan Yangqin Development Association is to promote Yangqin learning, to enrich the Yangqin teaching, to advance Yangqin performance art, and to develop Yangqin global exchange. The current chairman of Taiwan Yangqin Development Association is Ms. Chen, Shih-yu, who works in National Chinese Orchestra Taiwan. From October 9 to October 13, 2013, Taiwan Yangqin Development Association will sincerely greet all members and their families with the local multiculture of Taiwan. The 2013 Congress will take place in Taipei Zhongshan Hall (http://english.zsh.taipei.gov.tw), which is located in Taipei downtown. For your information, the English address is No. 98, Yanping South Road, Taipei. Please Google to find this location and take a glance in the neighborhood. We look forward to your visit. Taiwan is known as “Formosa”, which means a beautiful island (Taiwan-Ilha Formosa). It is about 36,000 square kilometers (14,400 square miles), located along the southeast coast of the Asian Continent at the western edge of the Pacific Ocean. Between Japan, the Ryukyu Islands and the Philippines and in the center of the East-Asian island arc, Taiwan has an aviation network extending in all directions, which forms a vital line of communication in the Asia-Pacific region, and is a popular travel destination. Taiwan culture merges several races together, including Minnan, Hakka, mainlander and aboriginal groups, and forms a harmonious diversity in religion, architecture, language, lifestyle and food. You are welcome to participate in the CWA Congress and to experience Taiwan’s multicultural and harmonious life in mid-October 2013. Whatever you like, you will find something that interests you. There are prosperous and diverse arts of this island which can be found in the streets, alleys and even in the residents’ lives as well. Out here in Taiwan, Yangqin activities and concerts have a wide-ranging diversity, and meanwhile governmental authorities put strong emphasis on cultural propagation. Intensive events of Yangqin Arts are held by professional and folk associations and are everywhere to be seen in Taiwan.